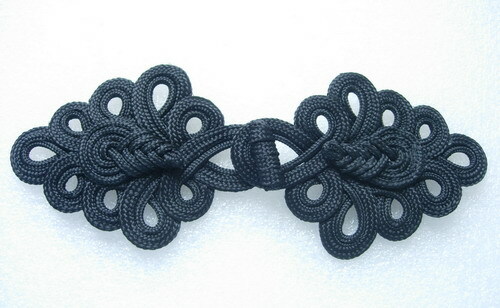 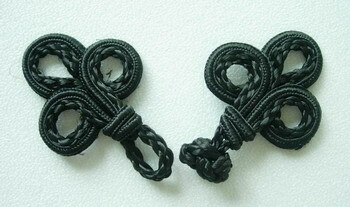 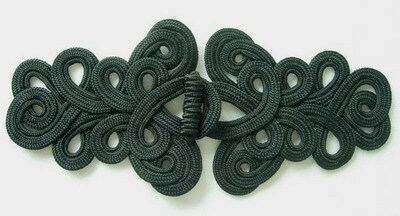 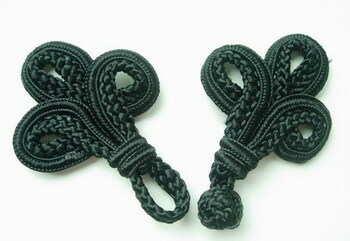 FG358 Black Loops Corded Closured Knot Button, this knot is handmade knot, great for sewing project and craft . 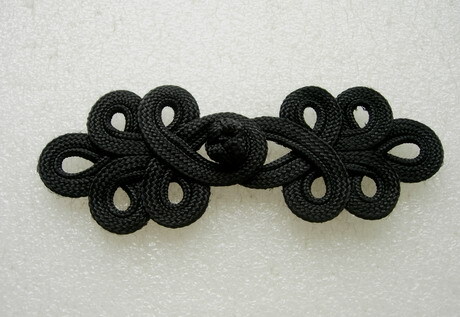 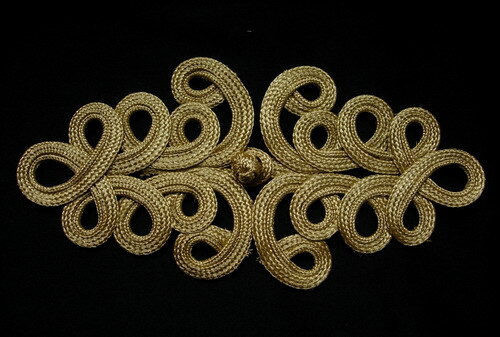 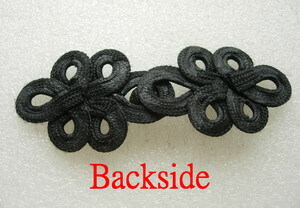 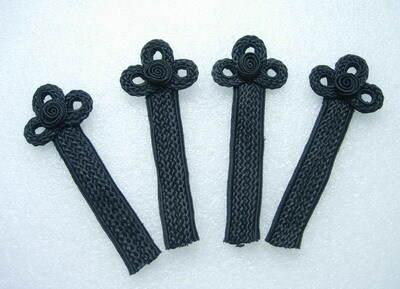 we have many kinds of chinese handmade knots, Chinese fastener, crafts, ornaments, tassel and macrame products. 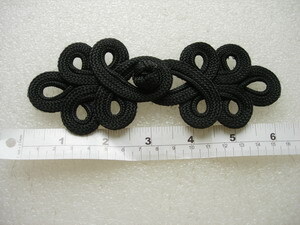 Size: 6 1/8" closured long by 2 2/8" wide (3 3/8" each part ), all measurement are approximate.